Before the rise of reflow soldering, a process that’s now more frequently used due to the increasing complexity of PCBAs, boards with a high number of through-hole pins underwent wave soldering, a process in which a board is passes through a solder wave. For through-hole technology, this posed few problems; pins could withstand more thermal shock and were much less expensive. But SMT packages are more sensitive—and expensive—and must be soldered in a reflow oven. However, some boards still require through-hole pins. This poses a small problem because through-hole pins cannot be soldered in a reflow oven and must be soldered separately. This can either be done by hand, or it can be done with a selective soldering machine. While hand soldering is slow, costly, and not always accurate, selective soldering allows a manufacturer to solder through-hole pins and work around delicate SMT packages by targeting specific areas on the board. This promotes repeatability – and therefore fewer defects, increased throughput, and overall cost reduction. There are different ways to execute selective soldering, but it's most effective with a programmable machine. 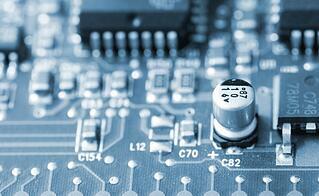 Yet, like most soldering processes, selective soldering has its own set of challenges. Because selective soldering applies heat to only one place on the board, flux contained in the solder paste might not activate properly, causing flux residue to spread to other parts of the board. Ionic contaminants contained within the flux residue are not easily detectable, and this type of ionic contamination could eventually lead to dendritic growth later in the boards lifecycle. One way to overcome this challenge is to preheat the board before the selective soldering process so that the flux can better activate. Using this method, you can mitigate flux migration. Another important step in preventing contamination is updating existing contamination testers. A proven method for catching flux migration is ionic testing, which is used to measure potentially harmful board conductivity. Although ionic testers are normally used to calculate ionic contaminants across the entire surface area of the board, some experts recommend programming the tester to measure only the flux path for more accurate results. Calculate the actual flux pattern/soldering area, duration, time, and solution volume. Enter the actual flux path, instead of the entire surface of the board.